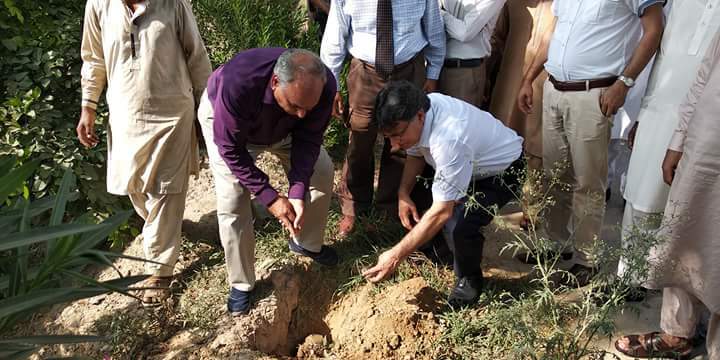 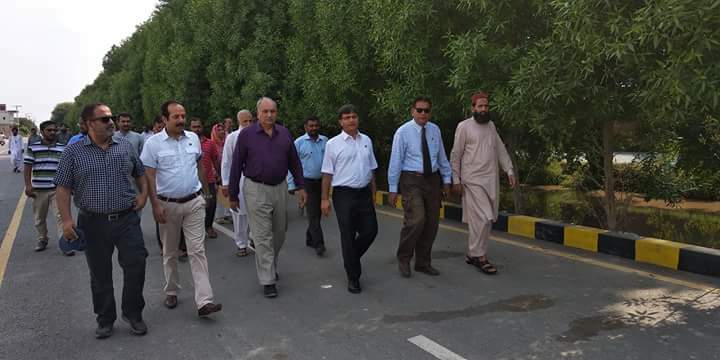 In line with vision of the Worthy Rector,COMSATS University Islamabad (CUI), Prof. Dr. Raheel Qamar (T.I) and as directed by the Campus Director, CUI, Sahiwal, Prof. Dr. Saleem Farooq Shaukat, We launched a tree plantation Drive on August 10th in collaboration with District Forest Office, Sahiwal. 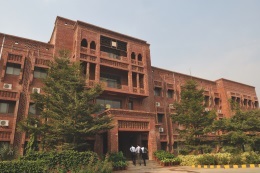 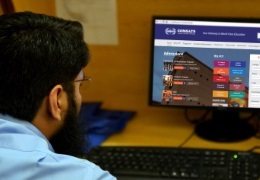 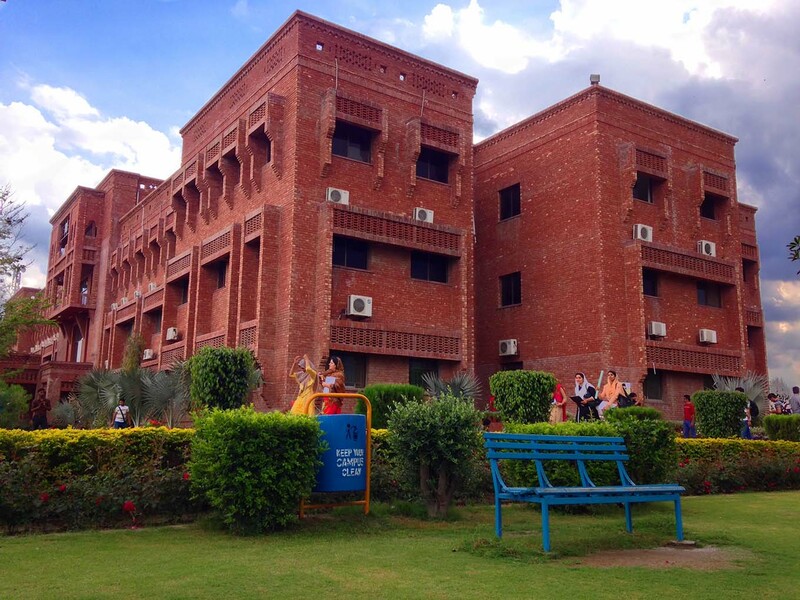 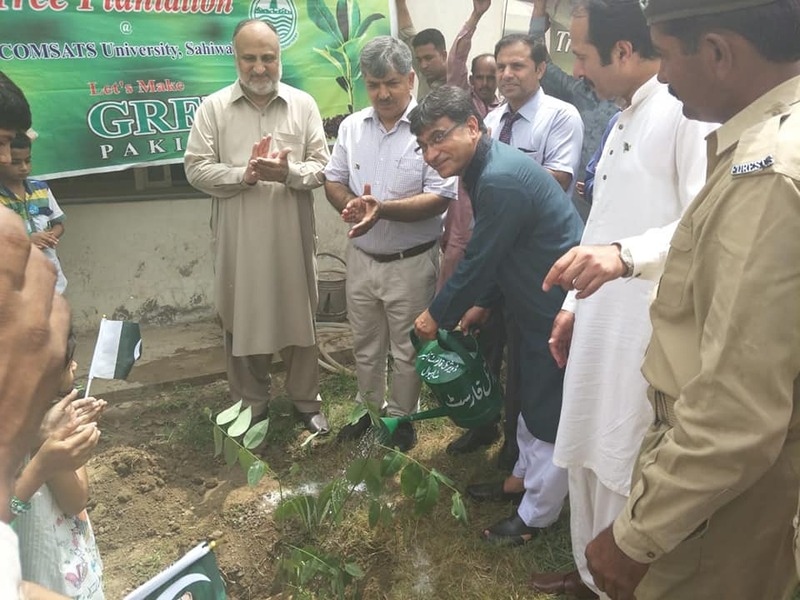 Initially, We planned to plant 4,000 trees on barren areas on canal bank, COMSATS Road and in the Campus.Successful efforts were made for bringing 3,150 plants from the District Forest Office whereas, 2,100 plants were arranged from own resources. 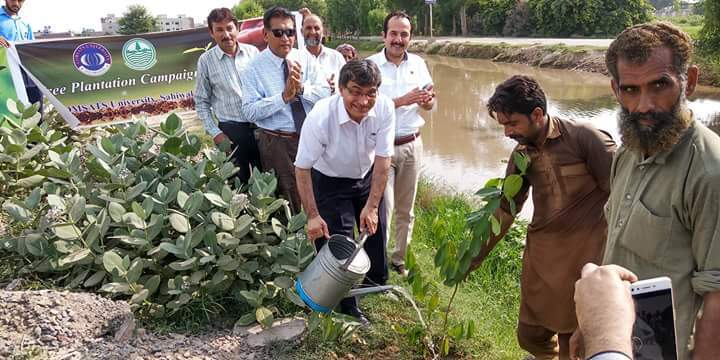 The plantation Drive was started on Friday, August 10th, 2018 which was headed by Prof. Dr. Saleem Farooq Shaukat, Director.Large number of faculty and staff participated in it. 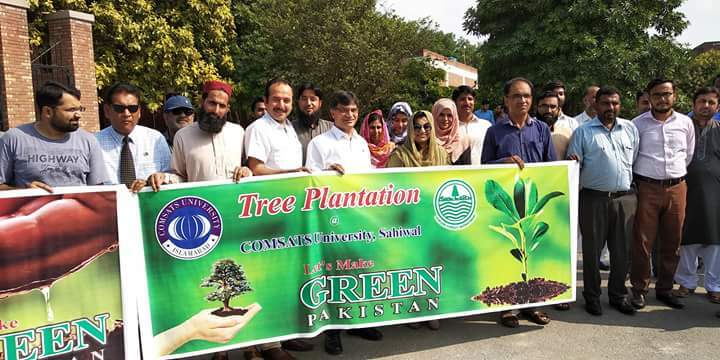 Over 1,000 trees were planted on the first day, while more than 2,500 trees were planted on the following day. 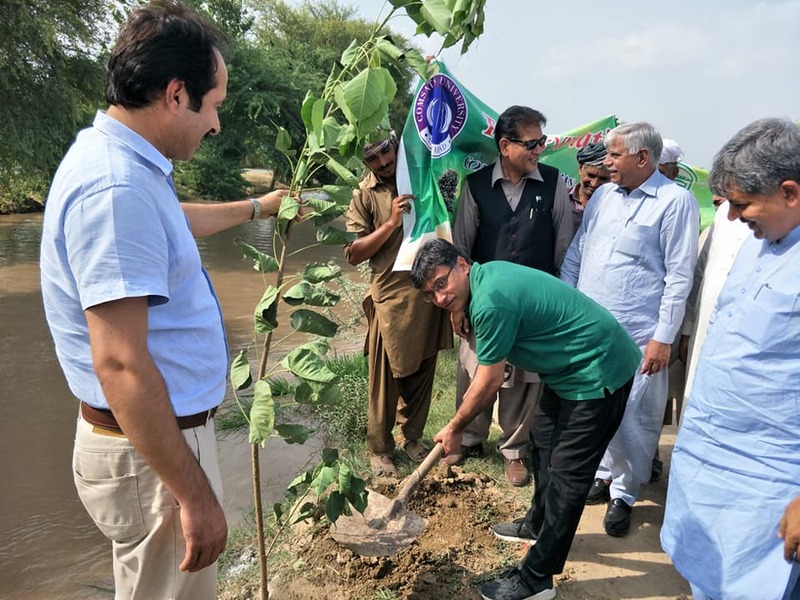 On the eve of Independence Day, the Tree Plantation Drive was accelerated as part of the celebrations with more than 1,750 trees planted in Sahiwal. 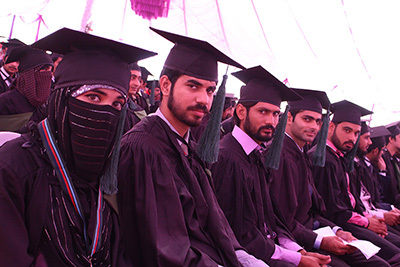 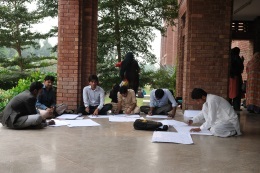 The ceremony was inaugurated by Prof. Dr. Saleem Farooq Shaukat, Campus Director, while Peer Ehsan ul Haq Idrees, Founder Chairman, Mr. Wasim Sajjad, District Forest Officer, Sahiwal, and large number of academicians, administrative officers/staff and students from various educational institutions participated in the activity.